Whitney Houston and Bobby Brown’s prenuptial agreement, which was drawn up before they got married in 1992, has now been revealed. Whitney Houston, who passed away last month at the age of just 48, signed the document on July 17, 1992, and as well as banning Bobby Brown from accessing her will, it stated the income both parties earned during their marriage would remain separate property. RadarOnline.com has obtained the document, which states: “Houston shall have the right to dispose of her Separate Property by Last Will and Testament in such manner as she may, in her own uncontrolled discretion deem proper. Whitney Houston and Bobby Brown, who had a daughter, Bobbi Kristina, together, filed for divorce in 2006 after 14 years of marriage, but the prenuptial agreement stated the late singer had “no obligation” to support her former spouse. 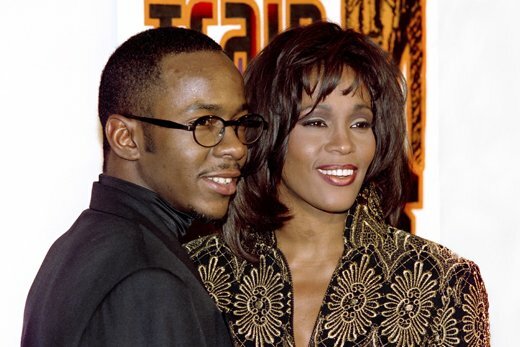 Bobby Brown, who was believed to have introduced Whitney Houston to illegal substances, was rumored to have been possibly banned from attending the star’s funeral last month, but did attend, only to leave early after a seating dispute.